The Acquisitions Directorate (CG-9) is reporting that they have issued draft specifications for the Polar Icebreaker. The following is a verbatim copy of the press release. 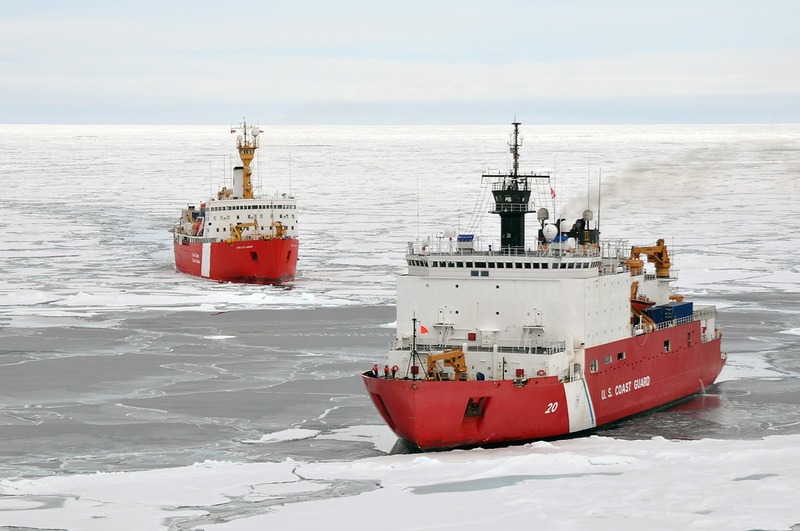 The Coast Guard released its draft heavy polar icebreaker system specifications in a request for information (RFI) today. The request seeks questions, comments and feedback related to heavy polar icebreaker technology risks, sustainability, producibility and affordability. The RFI can be found here. This RFI is part of ongoing market research conducted with the Navy and includes the draft specifications for icebreaker hull structure, propulsion and electrical plants, command and surveillance systems, weaponry, outfitting and auxiliary systems. Industry sources are invited to submit responses by June 16, 2017, at 11 a.m. Eastern time. Following market research, the Coast Guard plans to release a request for proposal for detail design and construction of a heavy polar icebreaker in fiscal year 2018. The service plans to begin production activities in 2020. We don’t have access to the specifications. This entry was posted in icebreaker by Chuck Hill. Bookmark the permalink. How come there are two different postings for the HPIB? See HSCG23-17-Q-APB004 posted by the USCG vice N00024-18-R-2210 posted by NAVSEA. This is out of my wheelhouse, all I can say for sure is that the Coast Guard document is almost two months later than the Navy document and while the Navy document is an original solicitation, the Coast Guard document is an amendment. One is an extension of the Industry Studies that five American shipyards have been conducting since last year, and the other is the actual RFP.